Keyboards & programming: Chris Lowe, Neil Tennant, Pete Gleadall, Tim Powell, Kieran Jones, Jason Resch, Matt Gray. Brass: Mike Kearsey, Steve Hamilton. 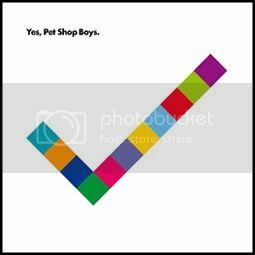 x Neil Tennant: "I think this is the most beautiful and sad song on the album. It's one of my historical lyrics. The King of Rome was the son of Napoleon, he was actually Napoleon II briefly, and when Napoleon got defeated and sent into exile, Napoleon's son, whose mother was an Austrian princess, was taken to Vienna. He never saw his father again and he rarely saw his mother. He became the focus of a lot of Napoleonic thinking and a rallying point for opposition to the government in France after Napoleon. He died quite young from tuberculosis and he never really achieved much and yet when he was born he was the King of Rome. I just thought he was a very, very sad and tragic figure and so the inspiration was there for a lyric about someone roaming the world to get away from some tragic love affair, like Noel Coward used to do. It's also the stateless idea that you've got no roots in anything because the thing that gave the roots to your life has been taken away. "